BCIT's Finance Diploma Program offers you unique, practical training for a solid foundation in accounting, economics, finance, and investing principles. All the courses in this program are designed to teach you to the necessary skills and confidence to help you pursue a career in finance while preparing you for accelerated study to become an accountant. See more about how the Finance Diploma gives you the necessary skills for a successful career at the Program Details. Who should apply for the Finance Diploma? Earning the hands-on experience and essential skills offered through BCIT's diploma program can be an excellent way to begin a long, rewarding career. With the training you'll receive in the Finance Diploma Program, you'll be prepared and confident in new potential jobs in financial services, accounting, and financial management. You'll also have the option to continue your education with a Bachelor of Accounting or a Bachelor of Business Administration degree to become a Chartered Professional Accountant or Chartered Financial Analyst and further your career. Learn more about your job prospects and options on the Graduating and Jobs page. This program is specifically designed to give you a broad exposure to financial, economic, accounting, and investment knowledge and opportunities. Perfect for students who want the career flexibility offered by knowledge of both accounting and finance. As part of your experience at BCIT, you'll get real-world training with working professionals and graduate having written and passed the Canadian Securities Institute exam. Students who choose the Finance program will write the Canadian Securities Course examination while they are students at BCIT. Successful completion is a mandatory step for anyone considering a career in the field of financial planning, or indeed in any aspect of the investment world. In addition, it is a prerequisite course for all other courses and programs offered by the Canadian Securities Institute. With the focus on practical skills, BCIT's program gets you ready to perform in your new financial career from the first day. And because of the wide variety of courses through the program, graduates have a similarly wide variety of jobs in the financial, accounting, and investment industries. While many students begin their careers immediately upon graduation, others decide to continue their education for a bachelor's degree, which is required to pursue a Chartered Professional Accounting (CPA) designation or the Chartered Financial Analyst (CFA) designation. 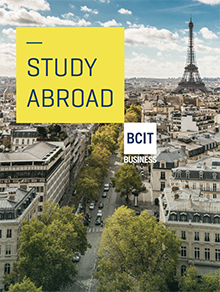 This diploma program ladders directly into BCIT's Bachelor of Accounting program, and is recognized at many universities for block credit transfers. Do you have a degree, diploma, or completed a substantial amount of post-secondary courses? You may qualify for advanced placement into the Finance program. Students that qualify for advanced placement can enter the program in the middle of first year depending on the number of transfer credits received. For more information about eligibility requirements and the application process, please download the Finance Advanced Placement Guide [PDF]. Taking the corporate finance program was definitely beneficial in getting me where I am now...without all the time management skills I learned (among other things) I would not have been able to easily complete my degree while working full-time. Since joining Sherritt two years ago, I've been fast tracked from a financial analyst to (now) senior management.